â€˜Tis the Halloween season for spook-tacular decorations, fabulous costumes, and sweet, sweet candy!! Time to decorate your lawns with gaudy ghouls, big bats, wicked witches, and creepy cauldrons. 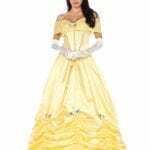 Dress up as your favorite character this year: perhaps a princess or a zombie? Something steam punk or something related to pop culture? Halloween is one of the few days of the year you can show off your flair and style. Handing out candy? Donâ€™t forget your lawn decorations to help your neighborhood get into the Halloween Spirit! Creep out your house with strobe lights and ragged curtains in the window. Spook-ify your yard with bobbing ghosts and fog machines! When hosting a party, props are a must! Spiders and flies on the snack table are sure to give your guests a scare. Hang bats and cobwebs from the ceiling and have limbs stick out from under furniture to truly make your pad a haunted house. Light your windows with candelabras to accentuate the atmosphere. The biggest stress of Halloween is finding a costume no one else has. Pirate, Romani, Victorian Woman, Superhero, and just about anything else! We carry costumes to buy, rent, hats, gloves, tights, makeup, and a variety of other accessories to perfect your Halloween look. Accessories are what make or break a costume, and we have accessories galore. 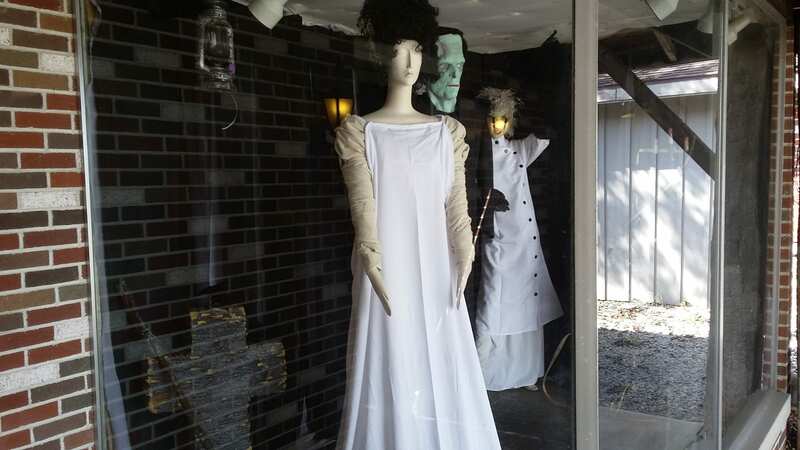 From gloves to tights, hats and wigs, canes, boas, and jewelry, we have a wide selection. From vampire chokers to princess tiaras, character wigs to steam punk hats, we have what you need! We believe that Halloween should be stress-free and fun, which is why we always have our Monster Madness sale at the beginning of the season. In our Columbus and Fremont stores, Sept 29, 30, and Oct 1st, you will find a variety of our merchandise and rentals on sale. Want to get into the spirit, but not sure what to do this year? Feel free to post in our comments and weâ€™d be happy to help!